IS THERE HAY IN YOUR FUTURE? Delivered throughout the Northeast by the trailor load. We will gladly split loads between multiple customers. Drop trailers possible. We are fussy about our hay because our customers demand it! 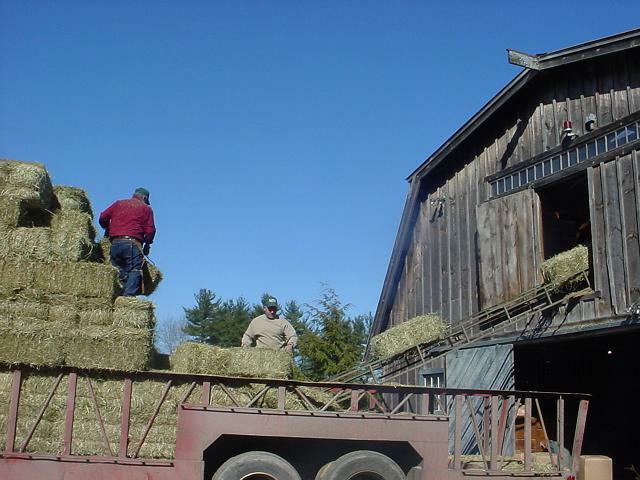 4M Farms is a family owned and operated hay supplier, located in Central New York. We supply stables, feed stores and the single horse owner with quality hay throughout New England and New Jersey. We have over 40 years experience in the hay business, spanning 3 generations. Our quality is guaranteed 100% with price quotes good for 30 days. For more information and details about what we offer, click here. ©2010 4M Farms. All Rights Reserved.